We all have our interests – Mountain biking, skiing, scrap booking, online gaming, extreme ironing, underwater basket weaving, etc. But if you’re one of many who enjoy going out to remote forest locations with a group of your finest comrades to play out character actions in fictional settings, then this graphic t-shirt is for you. 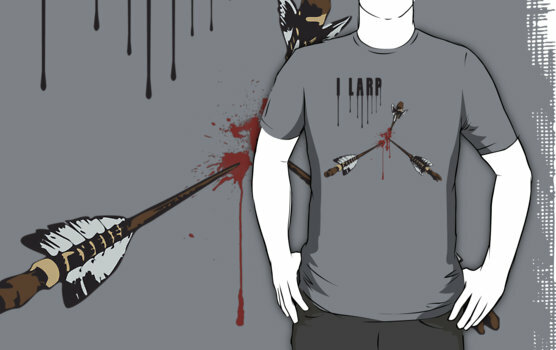 Yep, the I LARP graphic t-shirt! After a long day of combat, show your spirit and battle wounds off the LARP fields.